This 1982 Toyota Land Cruiser FJ40 is being restored and customized for a client in Portland, Oregon, who will use it as a weekend driver for camping and off-roading. After it undergoes our full, frame-off restoration process, it will be powered by a Toyota Toyota 2F engine with a 5-speed manual transmission, along with front-disc brakes, power-steering, and an upgraded suspension by Old Man Emu. Inside, you’ll find Sport Seats by Corbeau in the front and rear jump seats in the rear, all wrapped in custom tan vinyl upholstery. For even more comfort and entertainment, we are doing a Vintage Air A/C and installing a Premium Sound System. It will be finished with a beautiful coat of Rustic Green paint, while retaining the timeless classic features of the Toyota Land Cruiser. Extras like Expedition Bumper by The FJ Company will make this build extra special when it hits the ground in Portland. 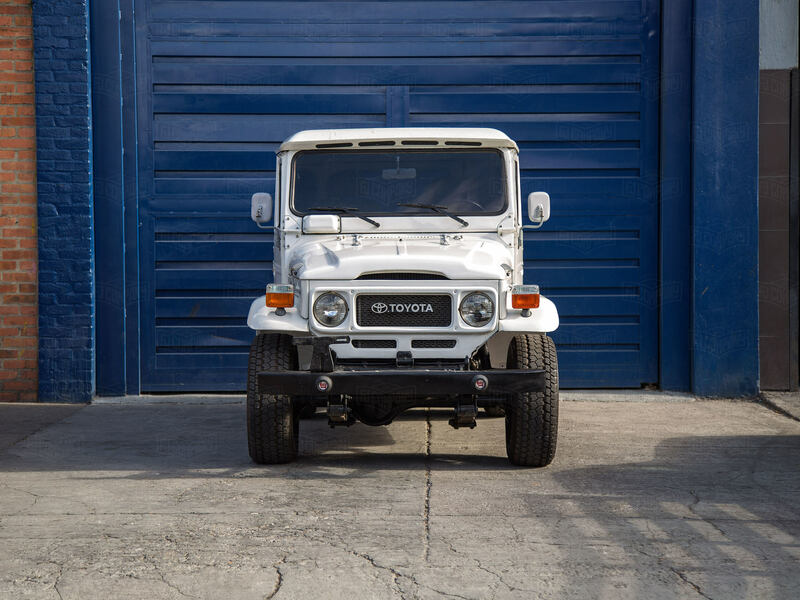 Interested in a similar Toyota Land Cruiser FJ40? Build yours.